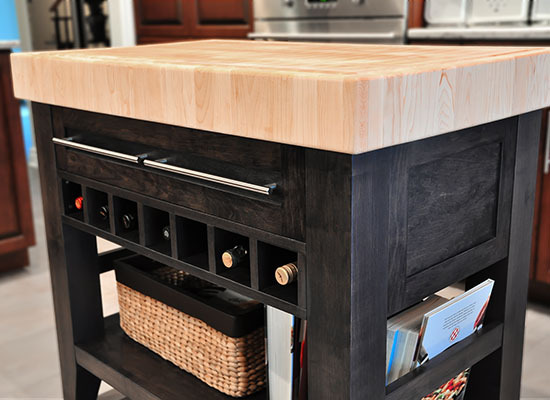 We love to get creative and custom furniture making is where we get to show off our artistic side. Handcrafted by our family for yours; it’s not just our tagline, it what we love to do. Live edge dining tables, sleek sideboards, and artsy benches; we love it all. Bring us a picture, or plan, or sketch on a napkin and we’ll make it real. With our care and expertise, we’ll ensure you receive a custom made, truly bespoke piece that you’ll be proud to pass down to your grandchildren. I promise you that nobody has ever said that in Ikea. Here is a detailed look at a piece we recently completed. 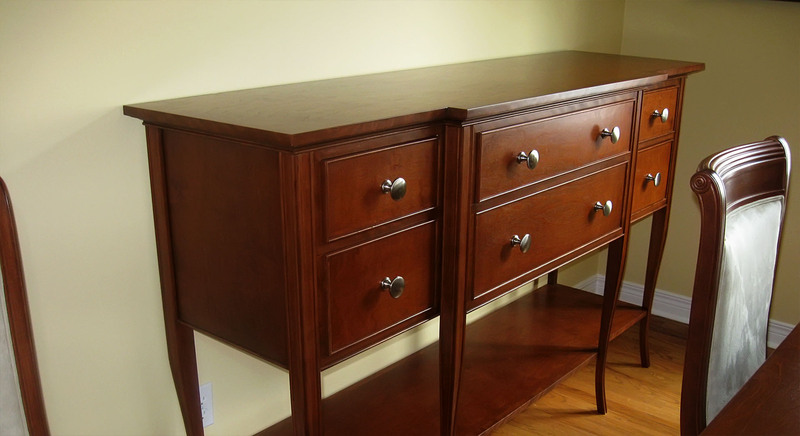 This is a maple entry table with a cherry waterfall runner inlaid into the top. 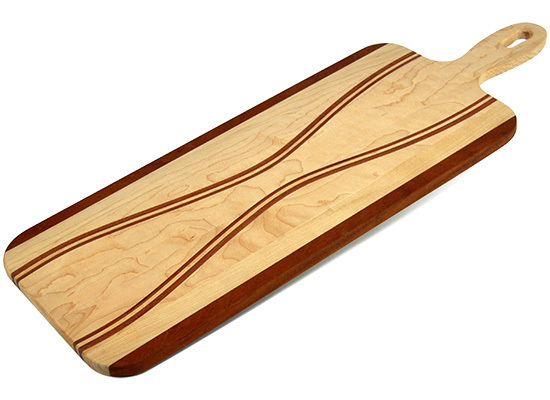 The cherry is skirted with some walnut and Jatoba inlay borders and the curved waterfall edge is just stunning. Check out the video to see some more detailed shots of the table. 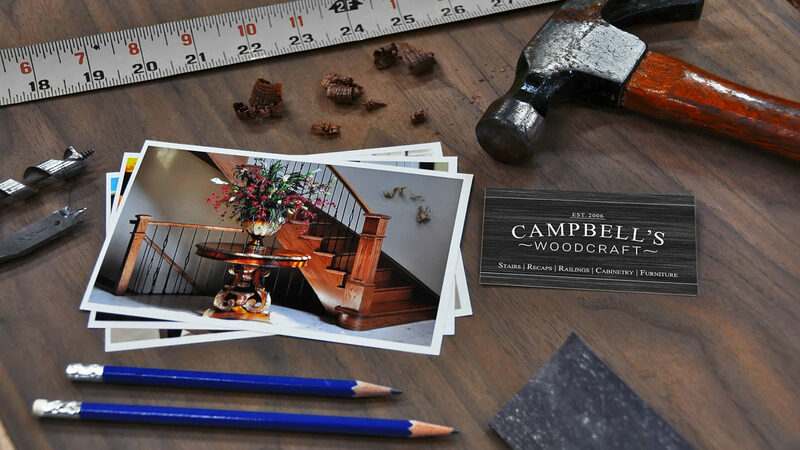 This is custom woodworking at it’s best and a piece of furniture worthy of admiration. 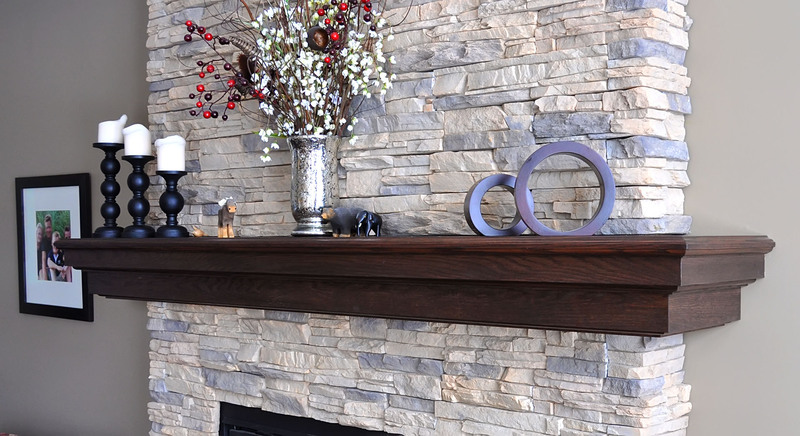 Whether you’re looking for an elegant mantle to frame your fireplace, or a rustic beam mantle made from reclaimed timbers, we can custom make the piece you’re dreaming of. Handcrafted with care and precision and prefinished in any colour and finish you’d like, you simply won’t find a simpler way to get exactly what you want than by coming to us. Sure, you can buy pre-made fireplace mantles made in bulk by some giant company, but when you come to us, you know that our hands are building something just for you and there will be care and respect built into it as well. We have our own line of products that we sell. 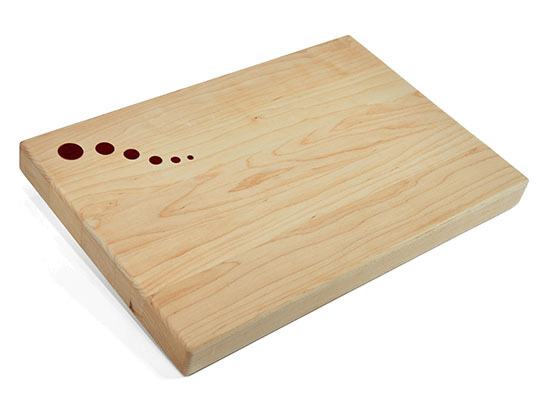 That line includes some kitchen products like butcher blocks, cutting boards, and serving trays. We also do some heirloom storage products like chests, boxes, and apothecary cabinets. My personal favorite is the humble spreading knife which keeps the peanut butter off my hands. Check out our products page (coming soon) to browse our selection.